The Costa D'Avorio Collection from Shaw Floors has the timeless appearance of classic stone, but it's an affordably-priced, durable and low-maintenance ceramic tile. Glazed ceramic flooring tiles resist stains and water. 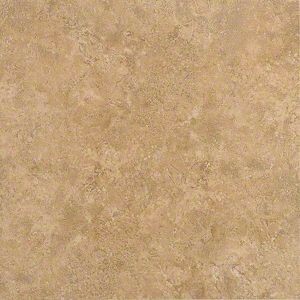 This Costa D'Avorio 17 Café ceramic tile has a dark beige color that's been described as a creamy latte in taupe shadings, with gray and mocha veins. They're 17 inches square in size, with moderate color variation for an authentic look. These ceramic tiles offer commercial-grade toughness, but are suitable for residential use as well. Since 1992, iDeal Floors (formerly known as Big Bob's Flooring) has been providing customers with a wide selection of premium flooring solutions and countertops at affordable prices.